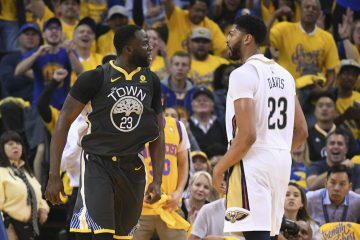 In the tedious 82 game regular season marathon, the Golden State Warriors have ten games under their belt behind their new head coach, Steve Kerr. The Kerr coaching era has begun with a scorching 8-2 record. Sitting atop the Pacific Division, the Warriors currently stand in second behind the Grizzlies’ .833 win percentage. 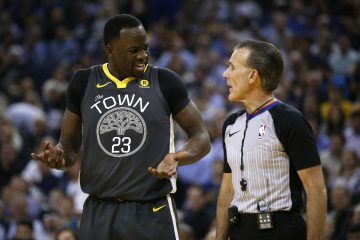 Originally locked in for the New York Knicks jobs, Kerr spurned his former coach, Phil Jackson and the Knicks for the “Splash Brothers” and the Bay Area. A job usually set aside for an assistant coach, Kerr began his coaching regime with the Summer League team in Las Vegas. Although he didn’t uphold the tradition of winning the Summer League tournament, he got some coaching experience and bonded with his assistants. 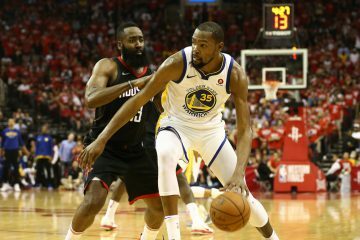 Kerr’s style of offense has allowed free flowing play throughout the lineup. 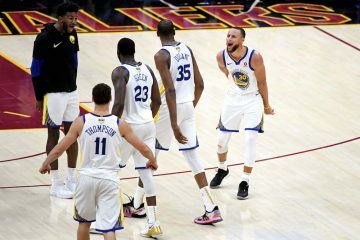 At this point, the Warriors rank second in points with 108.6, fifth in rebounding with 44.2, and second in assists at 22.5 per game. We’ll start off with the Australian big man in the paint. 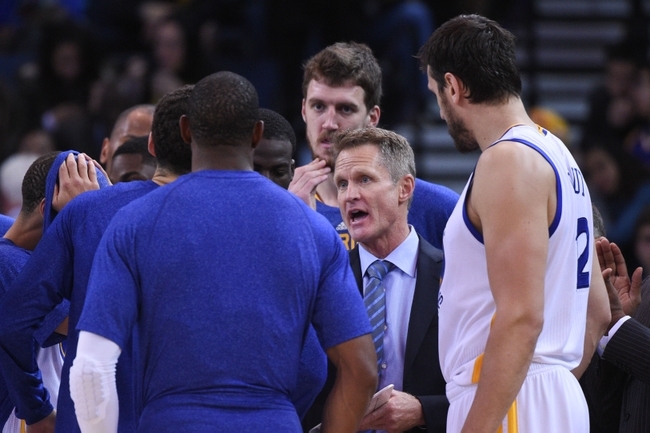 Andrew Bogut has credited Steve Kerr in rejuvenating and turning his career around. Kerr’s offense has asked for an uptempo pace for easier transition scores. When Bogut rebounds, he has the green light to dribble up court. Draymond Green and Harrison Barnes have been catapulted into the starting lineup and have thrived. Green is showing his ability to play the stretch four and is primed for his breakout season and Barnes has improved due to the players around him. In the starting five, the offense is so potent that Barnes has consistently wide open. The Splash Brothers have found their niche in the NBA. Night in and night out, they are the high octane offensive back court with the ability go for 50 points EACH. The push for transition baskets have given the Warriors more opportunities to shoot. With such a powerful offensive weapons, Kerr has chosen to maximize his scoring opportunities. The offense utilizes all their weapons. With Kerr’s offense there are pick and rolls, weaves, and back door cuts to maximize movement throughout the floor. Unlike Mark Jackson, Coach Kerr has also asked Curry to play defense on premier opponents.